Tulamben Bay’s Drop Off or “Wall” dive site is a great place to explore what Tulamben has to offer in terms of the variety of marinelife on the wall as well as the gentle slope in the area. It’s also a popular spot for reef sharks and cuttlefish. Tulamben Bay’s Drop-Off/Wall is an old lava flow from Mount Agung. It is at the opposite end of the bay, about a 15mins slow walk, from the USAT Liberty Shipwreck. The dive starts on a steep sand slope with nudibranchs, flounders, and goby and shrimp sets. 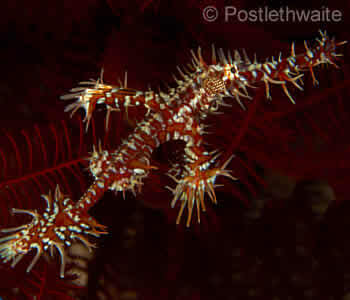 At 12m are sponges with many varieties of shrimp, and there are many crinoids, often with attendant ghost pipefish. Continuing round to the right, the slope develops into a reef with very impressive topography, becoming a vertical wall, from 15m to below 60m, which then reverts to a steep slope. Visibility in this area is best in the morning, usually 15-20m, due to the amount of plankton in the water. Due to the location it is rare that there is a current, even a mild one. Although there is some silt from run-off after heavy rainfall, the wall has profuse sponges, corals, black coral bushes, and gorgonian fans. One of the fans at 30m is over 2m in diameter. We often come here for the Deep Dive on the PADI Advanced Open Water Diver course. The fish life is similar to that found on the Wreck but, being a much larger area, is less dense. However, more often than on the USAT Liberty Shipwreck, you will see White-tip reef sharks, Napoleon wrasse, some big filefish (including Scrawled), and large moray eels. There have been sightings of Whale sharks as shallow as 9m, with Manta rays, Mola-Mola and Dogtooth tuna as frequent visitors. Occasionally, when the school of Big-eyed trevallys on the shipwreck becomes particularly large, you’ll find them schooling at the Wall. 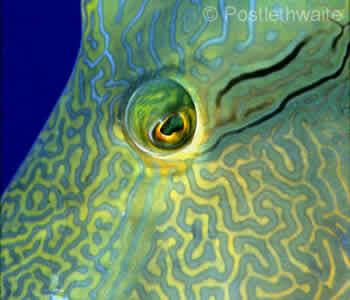 Look for Longnose hawkfish on the gorgonian fans, with Sharp-nosed puffers hiding nearby. Amongst the rocks and corals you will see octopus, Reef and Leaf scorpionfish, frogfish, Hermit and Porcelain crabs, and shrimps. For those staying overnight, late afternoon is the best time to see the wide variety of lionfish that live here. The back reef at the top of the Wall, averaging 5m, contains an excellent ‘aquarium section’. There you can see cuttlefish, octopus, Boxer crabs and many other unexpected treasures. This enables you to finish your dive at around 5m for pretty much as long as you want to stay underwater. This is, of course, also very popular with snorkellers. Book Your Bali Diving - Drop-Off/Wall Today!